Burdett Real Estate is an independant and locally owned real estate company based in Pleasant Point, South Canterbury, New Zealand. Our staff are focused on providing the best in real estate service and advice to clients across the province. Talk to us to find out just how much cheaper selling your property has become ! 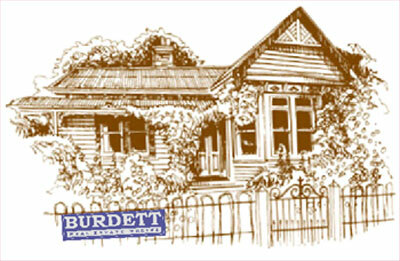 Remember, Burdett Real Estate for the best price at the best price ! The company's aim is to provide an efficient and complete real estate service to all clients, with the highest regard for professional ethics and integrity. Our salespeople have sound reputations in the industry and consistently strive to achieve satisfaction beyond expectations. "Business is ' just business ' : a scramble for profit. Right ? Well, that might describe crime ; it certainly doesn't describe business. Ethics aren't just important in business, they are the whole point of business." Grant Coldicott trading as Horizon Realty, a member of the Burdett Group.